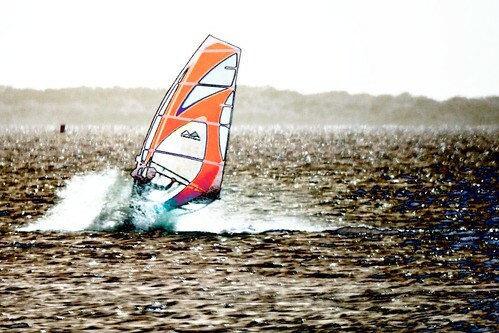 Are you curious about Windsurfing? Why not learn the same way that my friends and I learned? Take the beginner class at Worldwinds on Friday March 23rd, and spend the rest of the weekend playing on the water. March 23 - 25, 2012. I'm staying at the Best Western Paradise Inn, which is about half way between Downtown and The Island. If you'd like to stay downtown affordably, many of my windsurfer friends have stayed at the Bayfront Hotel. For more money, you can probably stay on the Island itself. If you have not windsurfed before, you'll want to schedule classes at Worldwinds. Almost all of my surfing friends have learned how to windsurf from the fine folks there, including myself. Just be sure to show up to your class early -- arriving late will cause problems for yourself and other guests. To get started, look at the 5 easy step to Windsurfing Bliss. If you've already taken the beginner class, you may wish to reserve equipment and any classes in advanced.